On the bank of the Shiawassee River, in central Michigan, Shiawassee NWR was touted as “a critical migration stopover site for waterfowl.” We were there on the last day of August, just over a year ago. With habitats ranging from marshes to forests to prairie, and a long list of bird species, some of which I’ve rarely (if ever) seen, I was hoping to see more than just waterfowl. If the cooler weather and turning leaves haven’t alerted you, the calendar can’t lie. Tomorrow is the first day of autumn. Can our first frost be far behind? It’s tempting to let the change of seasons put a stop to gardening for the year, but there’s still much to do. (See my previous post on “Putting Your Garden to Bed” for ideas.) Of course we know that many spring-blooming bulbs go in the ground now. But how about perennials, shrubs, and even trees? Can we plant (or transplant) them now? 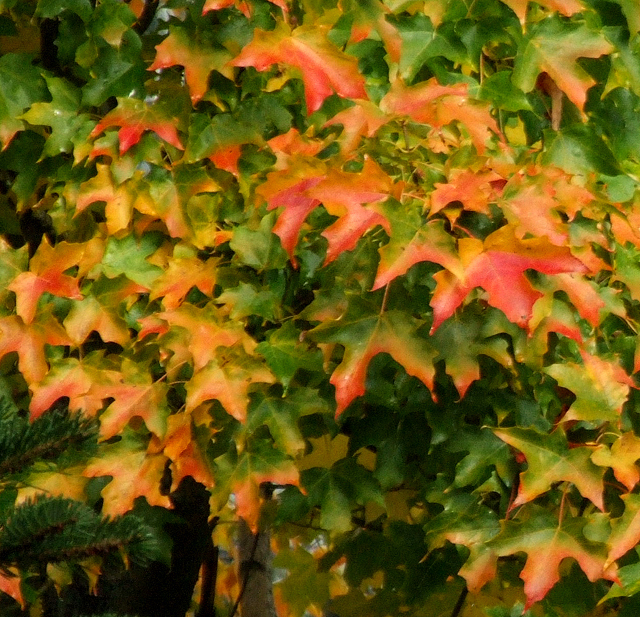 Even for those of us who live in places with cold winters, fall is a terrific time to plant. Author LAHPosted on September 21, 2017 April 17, 2019 Categories Gardening, LandscapingTags autumn, fall, Gardening, plant, planting, season, time, transplantingLeave a comment on Don’t Wait. Plant Now. When we think of crocuses, we imagine the first flowers of spring, daring the cold and snow to herald the coming change of seasons. And just as crocuses start the growing season, they can also be among the final flowers of fall. You may know them as Meadow Saffron or Naked Ladies (although that name also belongs to Amaryllis belladonna)—these goblet-shaped pink–to-purple flowers that spring leafless from the ground in early autumn. They don’t last long, only two or three weeks, but their presence when all else is fading makes them worth the effort. I didn’t plant this year’s veggie garden until mid-August. No, I wasn’t procrastinating. I just had to wait for the new boxes to be built, filled with topsoil and compost, and the drip lines put into place. While we moved to our new house in May, the landscaper didn’t start until the end of July—and my veggie boxes turned out to be the last thing they did. Now I have two 4-foot wide raised planters, each about 10 feet long. (My garden got downsized along with the rest of my life.) 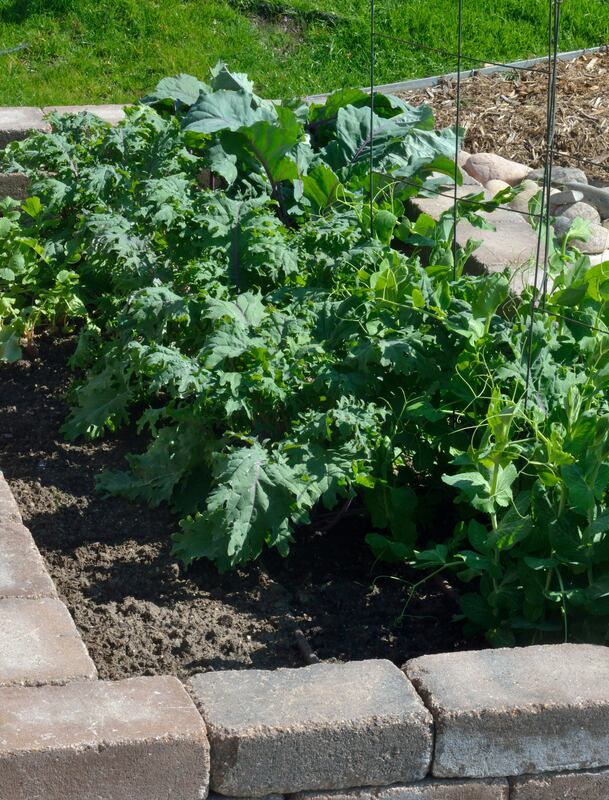 I love the “rumble stone” bricks we used—they’re comfy to sit on as I weed and harvest. The boxes are a little over two feet tall (they’re on a slope, so it varies) and we filled them to about 10 inches from the top. I wanted some headroom for adding future amendments and so I can lay clear panels over the edges to create coldframes as needed. What do we plant for fall color? Most of us would quickly list off maples and crabapples, or perhaps a burning bush (aka winged euonymus). But what about grasses? 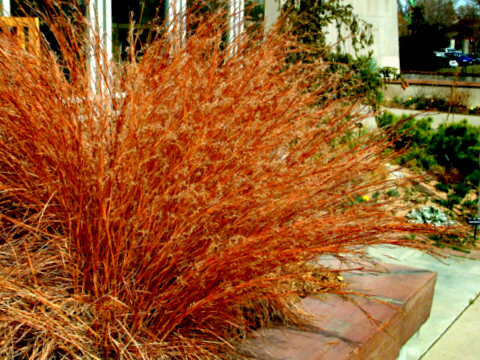 Some ornamental grasses have impressive fall foliage, and it lasts all winter. Ornamental grasses are everywhere. What was once a fairly obscure group of landscape plants have emerged into the spotlight, and their popularity shows no sign of fading. That’s not surprising, considering how much they have going for them—flowing leaves, towering seed heads, a fountain shape unlike that of shrubs or perennials that adds contrast and texture to the garden.